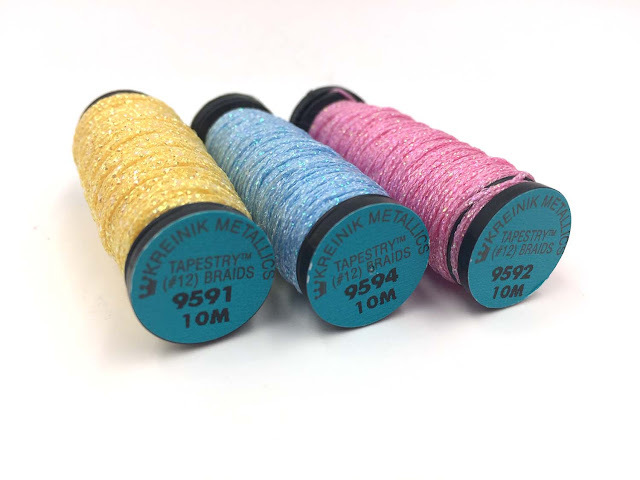 We hate to discontinue any thread color, but sometimes it is required due to manufacturing problems (like, we can't get the raw material to transform it into your favorite Kreinik threads). Back in 2014 we posted a list of discontinued colors, then a reminder list with conversion suggestions in 2017. Every week, however, we get inquiries from stitchers, shops and designers saying "I didn't know that color was discontinued." So we thought this would be the perfect time to post it again. 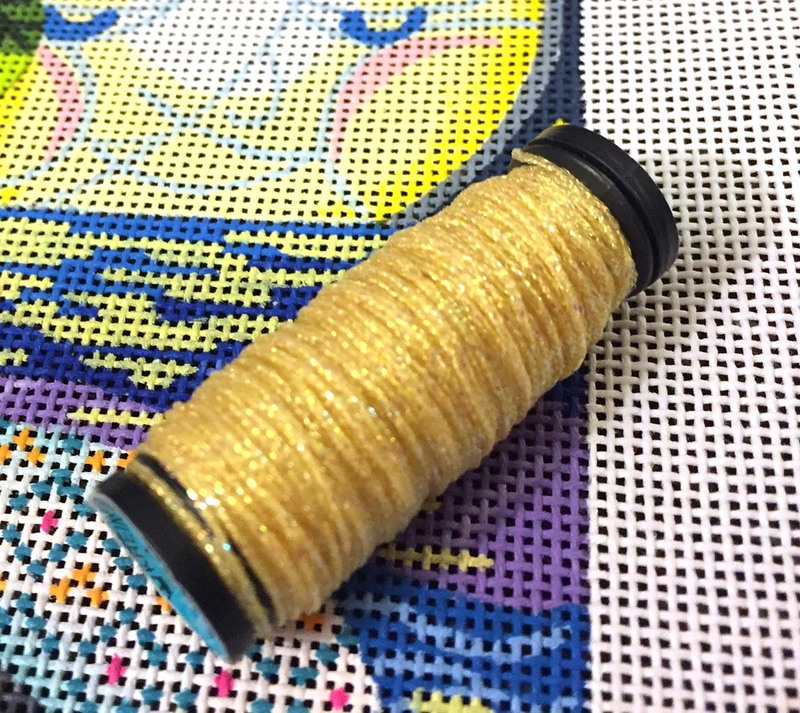 We suggest printing it, folding it up and keeping it with your thread stash. 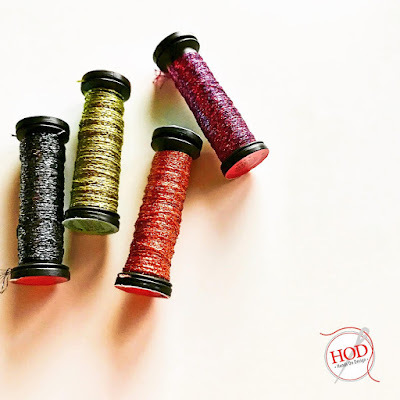 Even better, add a mark to the labels on spools of discontinued colors; that way you can keep them but know they can't be replaced. 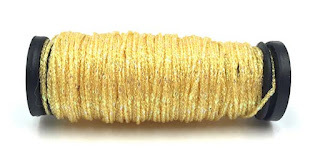 It's spring cleaning time, perfect for rearranging your Kreinik stash and making note of colors no longer in the line-up. You will find the list of discontinued colors below. 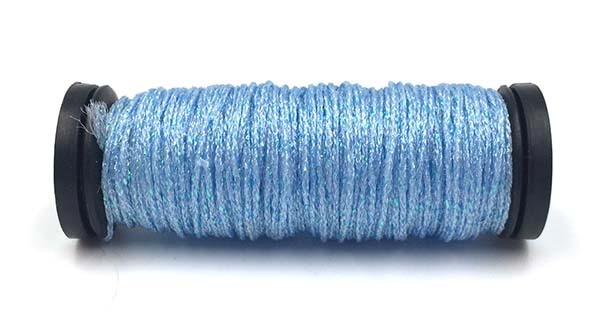 The thread dye lot most likely has changed. 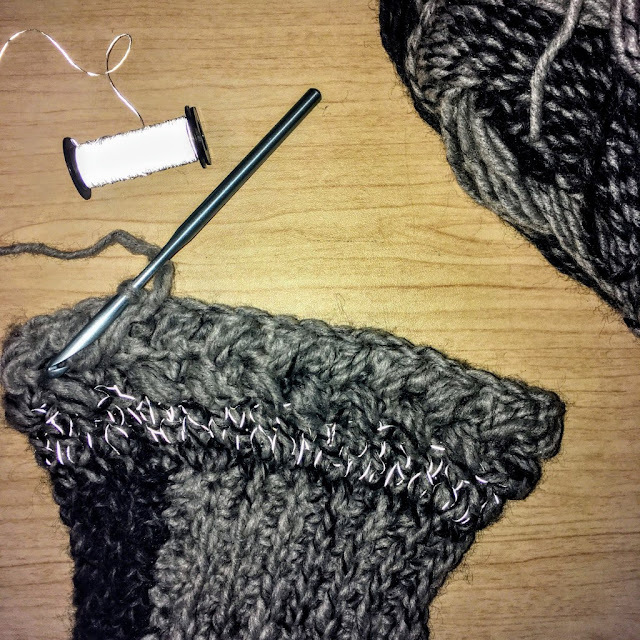 Mark those threads some how so you know and won't get caught running out mid project. 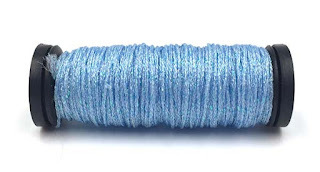 Some of those threads may be discontinued. Google and contact the manufacturer to double check before you use them in a project (and end up needing more). 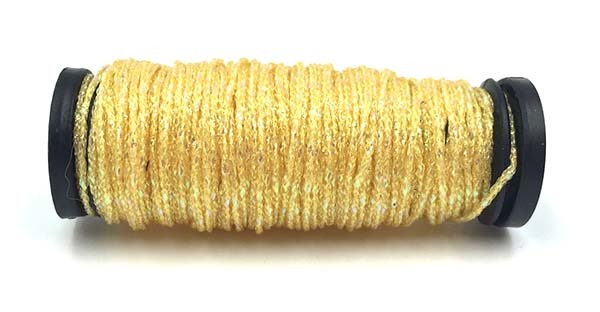 Meet the newest Kreinik metallic thread colors! 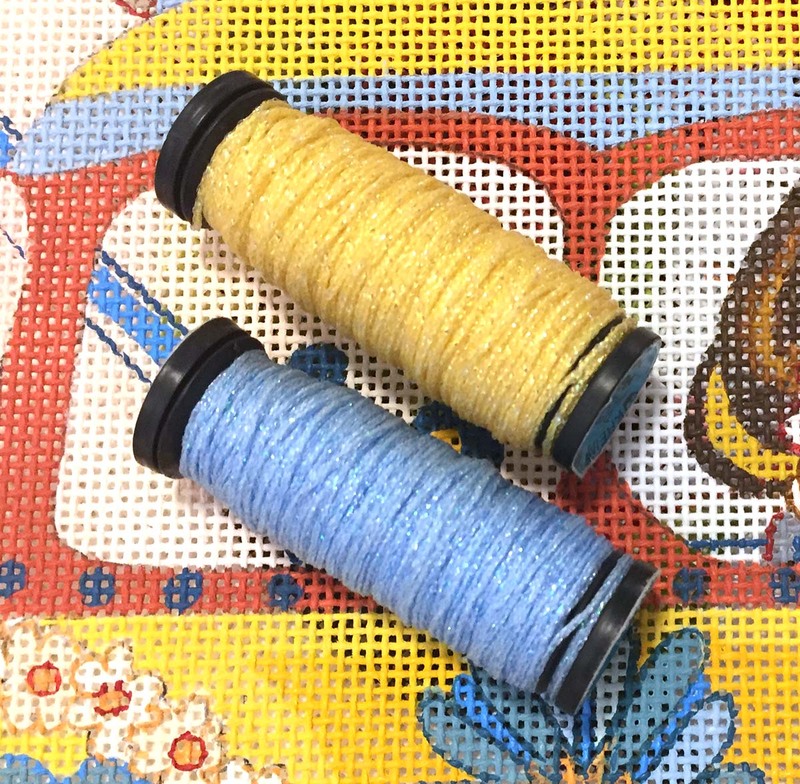 Available in Kreinik Fine #8 Braid, Tapestry #12 Braid and Medium #16 Braid (no #4 Braid right now). These fun metallic colors are a wee bit thicker, so go down a size than you'd normally use. 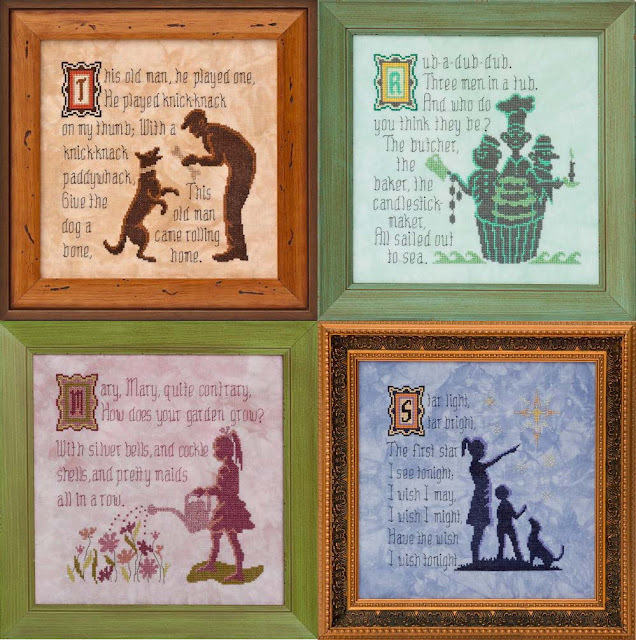 Welcome 9591 Buttercup, 9592 Peony, and 9594 Bluebonnet. 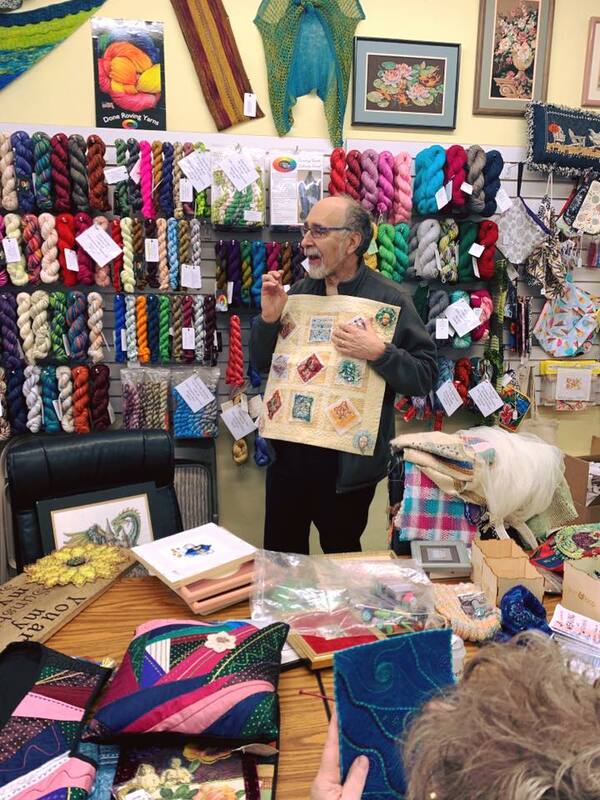 Ask your favorite needlework store to order the new colors for you. 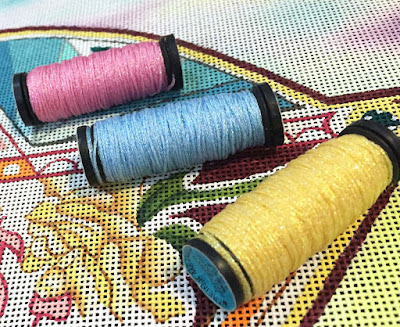 They fit right in with our current pastel shades such as 091 Star Yellow, 092 Star Pink, and 094 Star Blue, offering a shade darker. Buttercup is richer and less lemon-y than some of our current yellows. 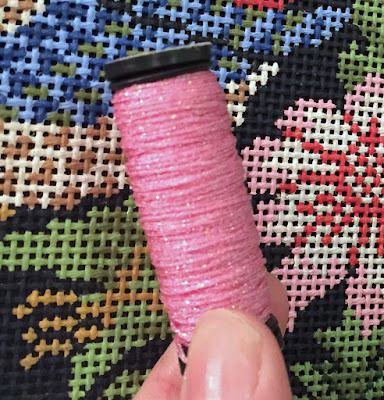 Bluebonnet will make a great sky or water blue, and Peony is just a fabulous pink for everything. Have fun with the three new Kreinik colors. 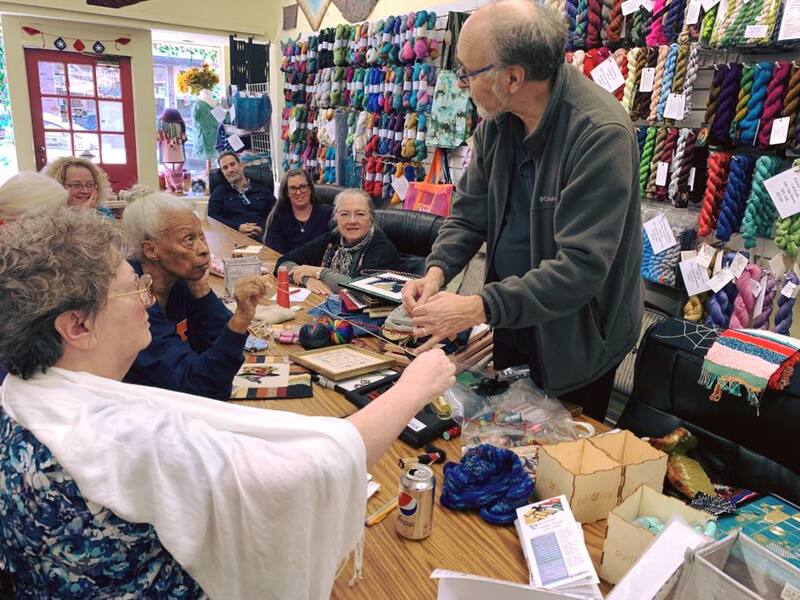 We'd love to hear your feedback on them too! 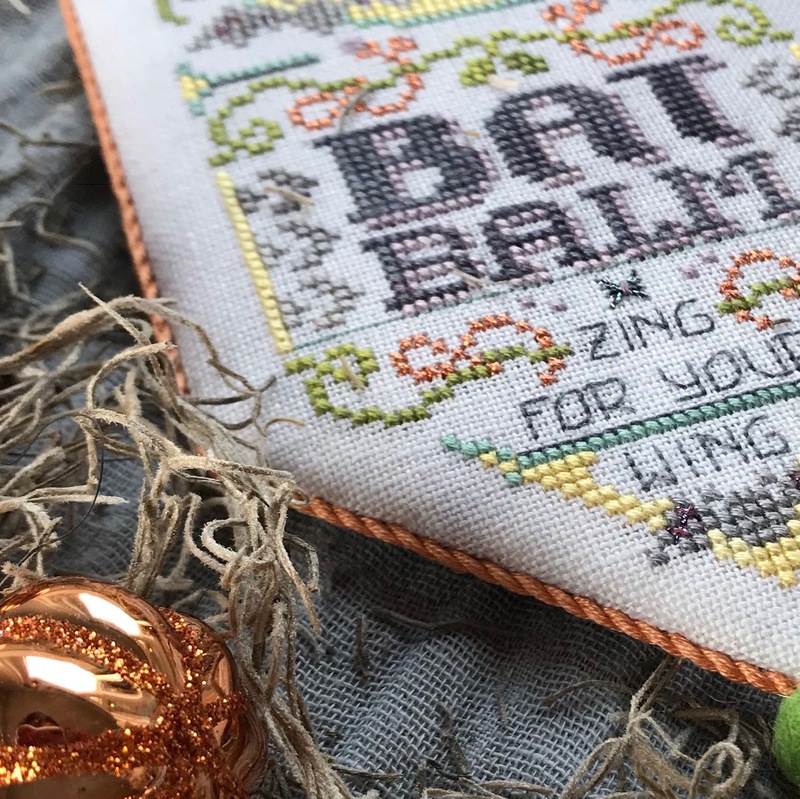 She has cross stitch fans all over the world, an entertaining and fun FlossTube channel, and a positive, encouraging, glowing life attitude: Meet Cathy Habermann of Hands On Design. Next month she's introducing a new design series featuring Kreinik threads that is just to die for! Cathy has been creating cross stitch patterns since the 1990s, but since launching Hands On Designs, she has become one of the most popular designers around the globe. 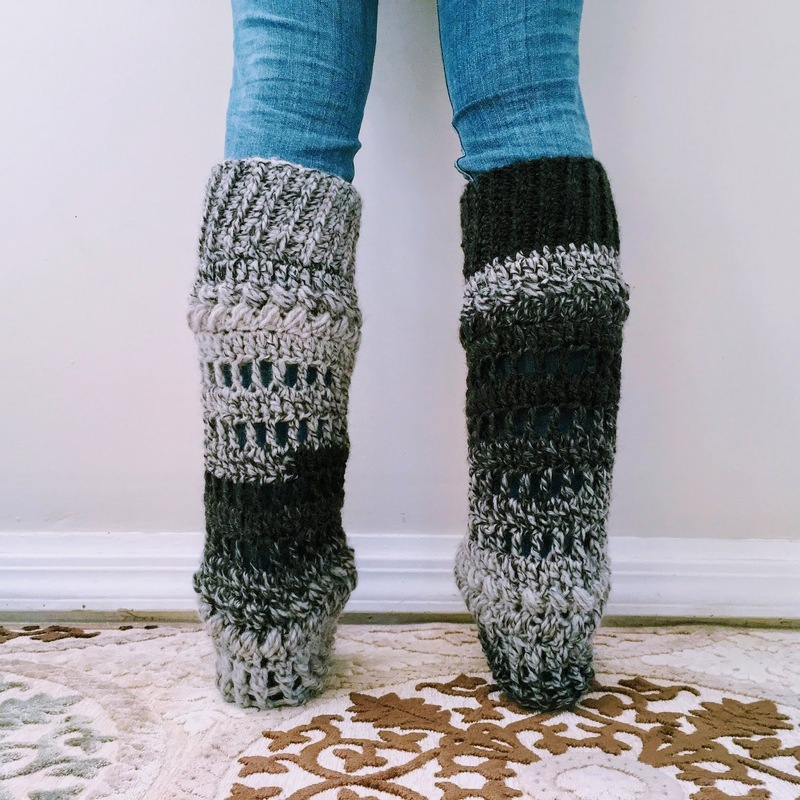 Her unique style is fun, fresh, clean, a mix of modern and traditional (check out the Chalkboard series), and just plain creative. 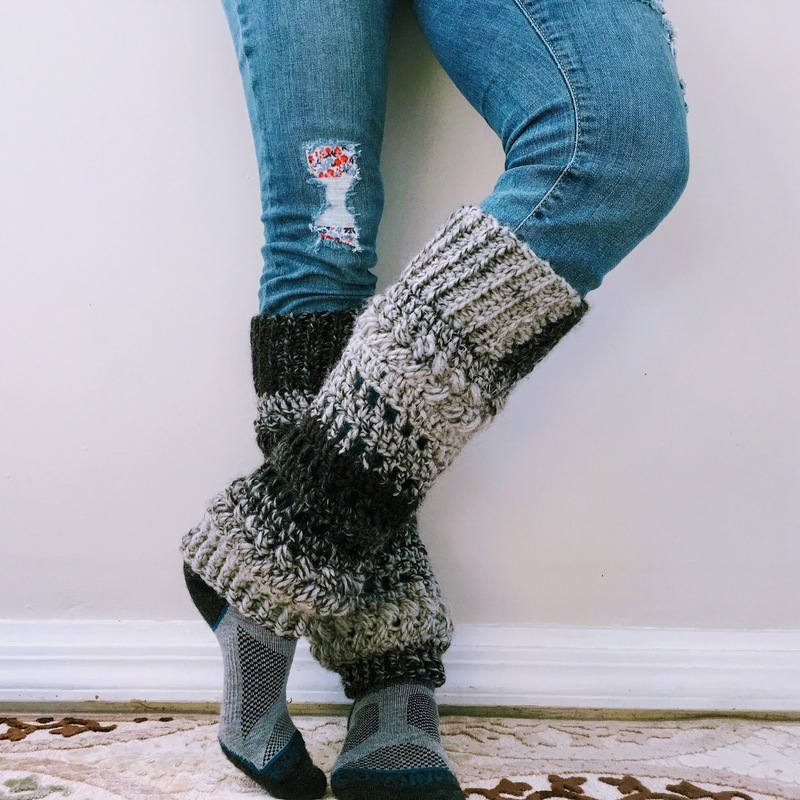 As a long-time stitcher, she knows we all want patterns that are quick to stitch and finish but also creatively satisfying. 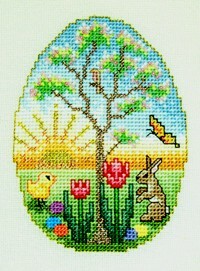 Her Year Of Celebrations patterns, for instance, offer a sweet stitched sentiment that you can rotate monthly. The newest series from Hands On Design company is the Scary Apothecary series, featuring Kreinik metallic threads. Classy and elegant, they have a humorous twist. They're spooky, sparkly and silly—just what we all need right now. 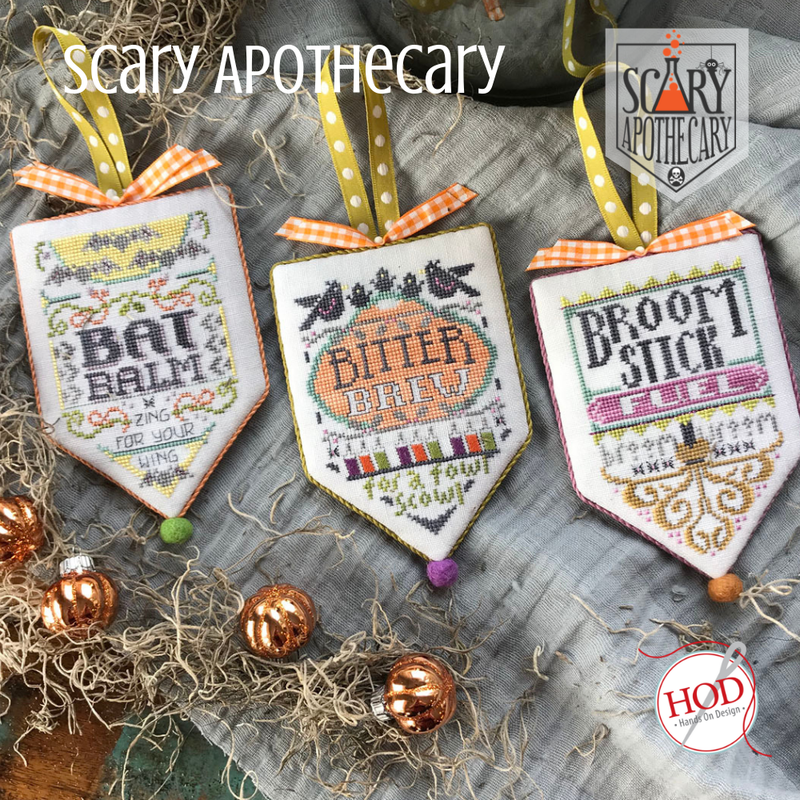 "Scary Apothecary was inspired by spooky apothecary labels," Cathy says, "but with a Hands On Design twist of a vintage color palette, a touch of Kreinik sparkle, and some wicked Halloween humor." Cathy is introducing the first three designs in this series at the Nashville Needlework Market in March 2019, a wholesale trade show. 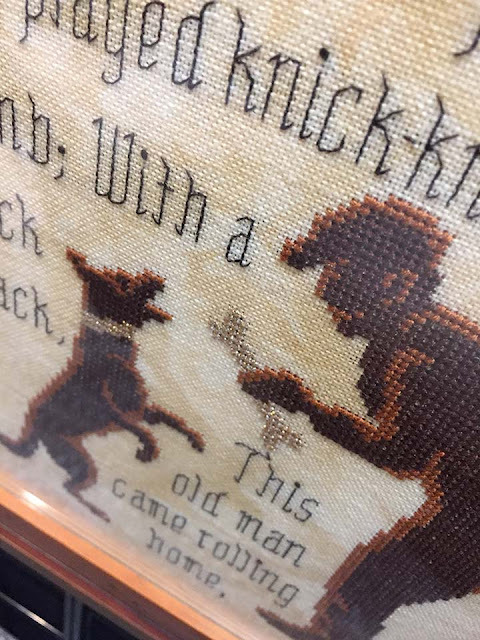 Ask your favorite needlework store to pick up copies for you: "Bat Balm," "Bitter Brew," and "Broom Stick Fuel." 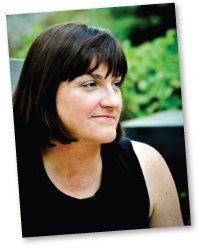 For more information on Cathy's designs, visit her website. She is also on Facebook and Instagram. 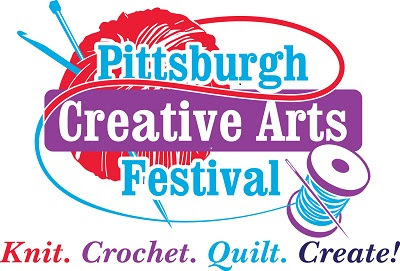 Join us at the Pittsburgh Creative Arts Festival this March 15, 16, and 17, 2019 in Green Tree, Pennsylvania. 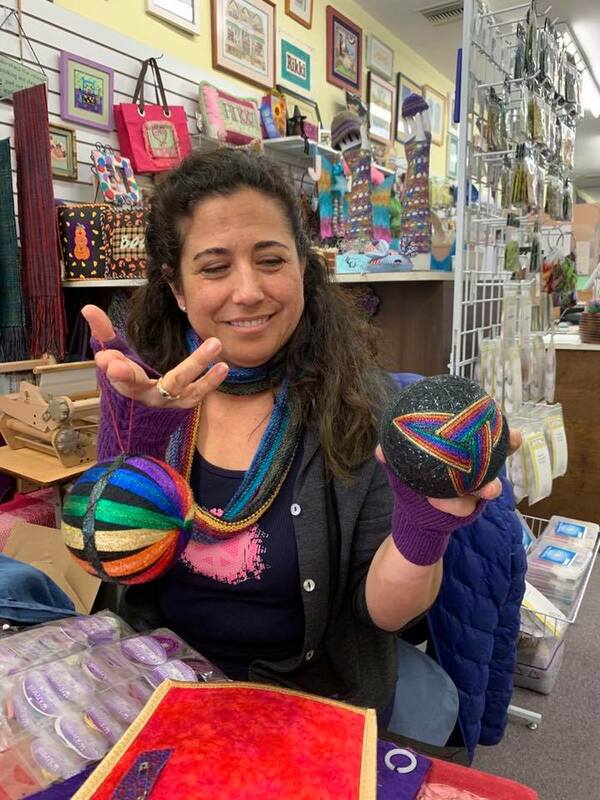 Those who love knitting, crochet, weaving, stitching, fiber art and more will have a great time—and find goodies in the shopping mall area. 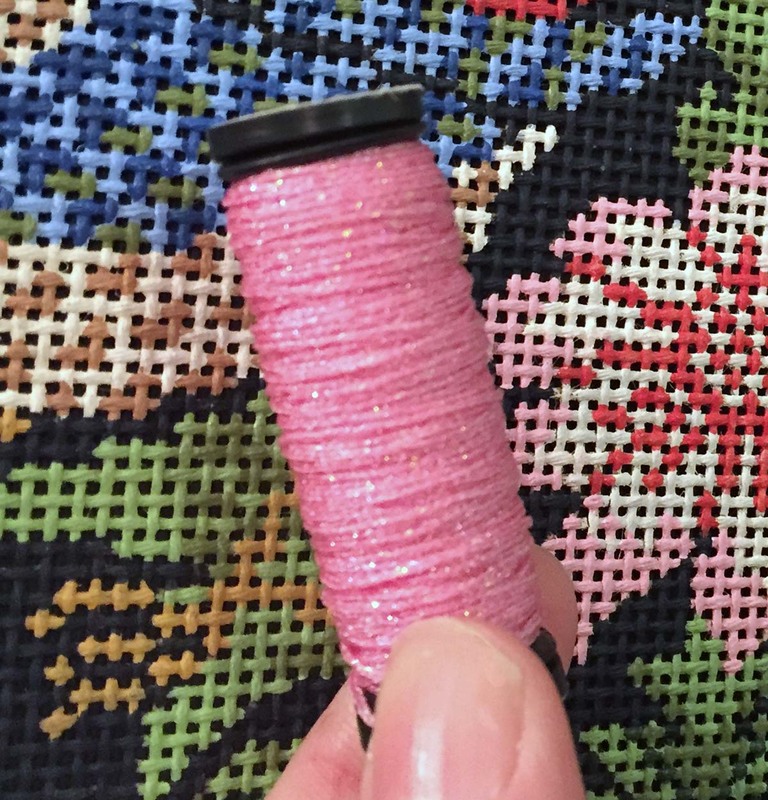 Kreinik will be doing demos and interactive activities in the Maker Area on March 15 and 16. Come see us!